Abandoned yes. Gone forever... maybe not. 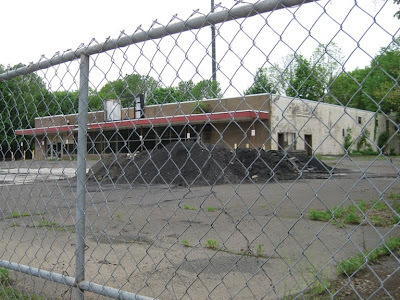 There are rumors online that Acme may reopen this location. 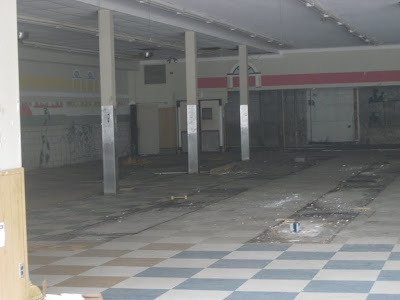 The company still holds the lease here and claims to have shuttered this store due too many other Acmes in the area. 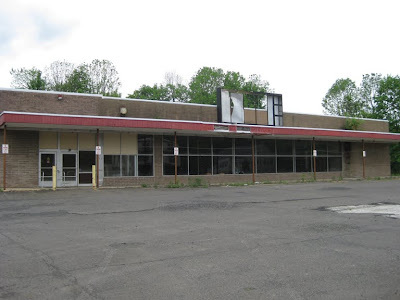 Also contributing to the closure may be a new Wegmans opening in October in Collegeville. 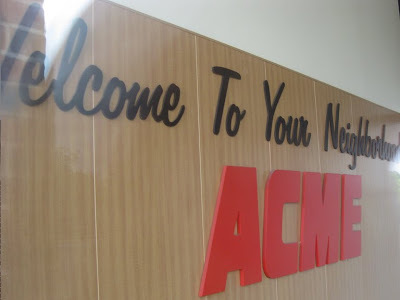 Acme has a newer store which opened earlier this year about 5 miles away in Limerick. 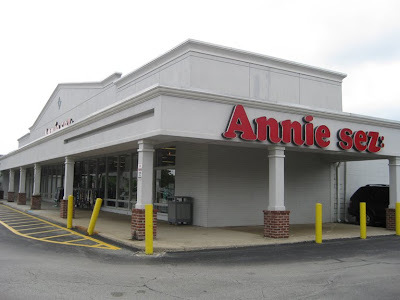 That store is Acme's only new 2009 location. 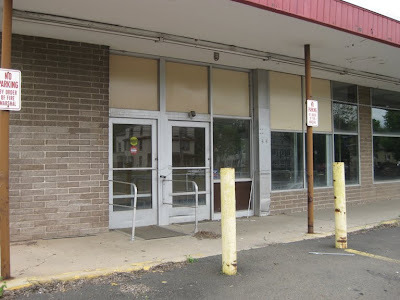 There are other rumors that the Limerick store is not performing as expected and Acme may reclaim the Collegeville location. 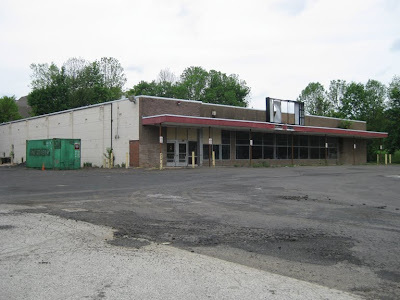 ShopRite has been attempting to purchase the lease from Acme and plans to launch a $10 million transformation of this site. 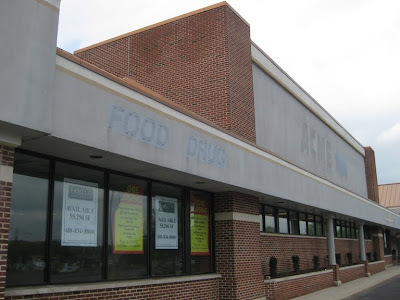 Acme would rather not have ShopRite move in as that would impact business at the Limerick store. 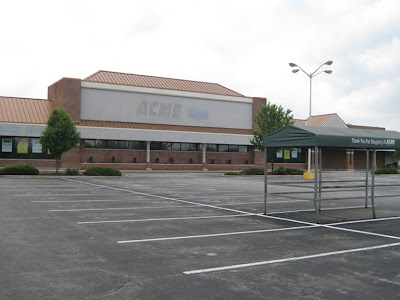 Acme has been hoping to section off the store so that smaller, non-grocery type stores can move in. Meanwhile, other merchants in the center are furious with Acme holding out on ShopRite's offer. Their businesses have all suffered greatly since Acme left. 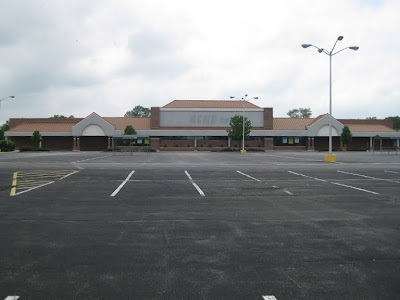 Some are even trying to get their rents lowered as the shopping center is no longer the draw it once was. 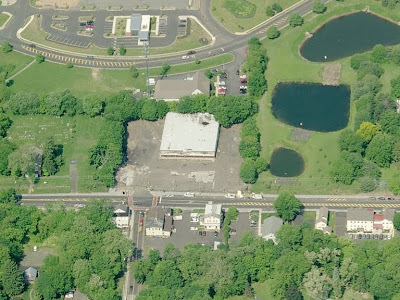 UPDATE 9.09.09: Just received some interesting news about Collegeville and Limerick. 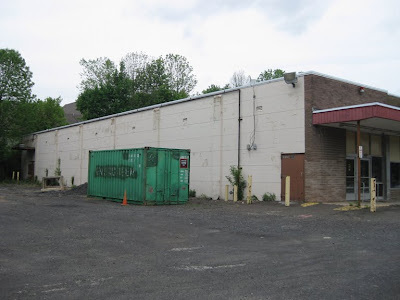 Turns out the Limerick store opened in late 2007 and was not a planned replacement store to the Collegeville location. 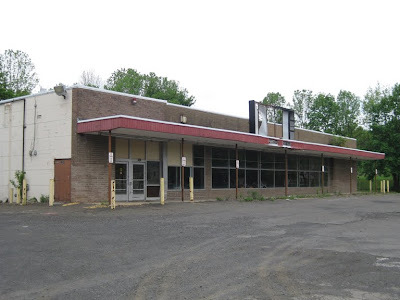 However, since the Limerick store performed so poorly the decision was made to close Collegeville in hopes of attracting Acme shoppers to the Limerick location. The plan has apparently not worked our very well. 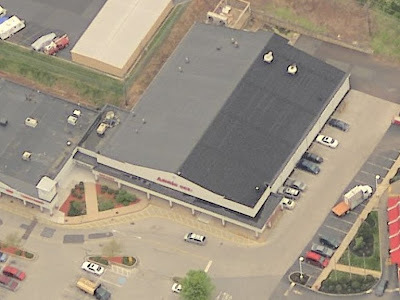 To add insult to injury, the employees of Collegeville were not offered the option to transfer to the nearby Limerick store. Not sure when this store was built. I would guess it was the late 90's. This style of building has the same layout of the 90's stores with a simplified exterior design that became more common as the 90's wore on. FOOD • DRUG labelscars. 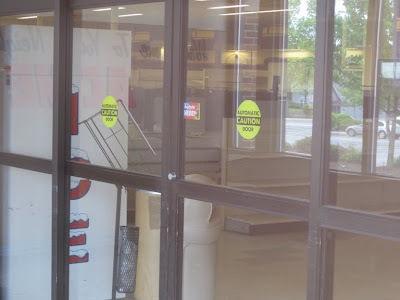 It looks like these signs as well as the SavOn sign were taken down prior to the store closing since they appear to have been painted over. The Acme labelscar was not painted over. 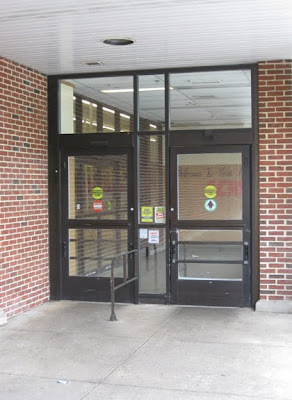 Left side entrance and exit. 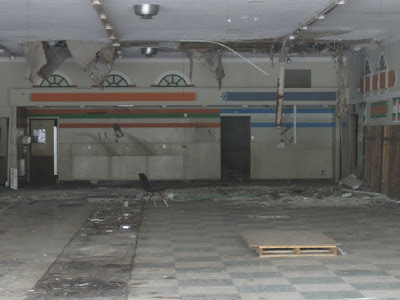 Unfortunately another round of bad interior shots. The reflections on the glass make clear views of the inside nearly impossible. Hoping to return to this location after dark to get better shots. The Produce alcove is over to the left. You can see the arches up near the ceiling. These correspond to the windows that to the back of Produce. When I was here I didn't think to go around the corner and check out the windows although they were mostly likely covered over on the inside with mirrors. 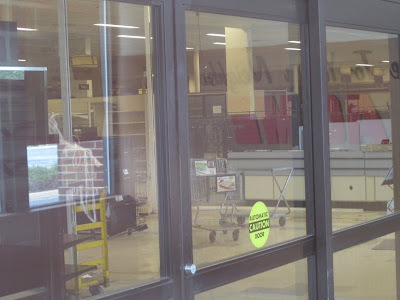 It appears that this store started out with the 90's Red/White/Blue decor with a minor remodel done sometime in the last few years which gave the store the watered down "Albertson's" look of the early 2000's. 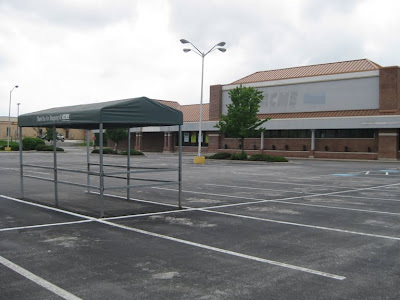 Is Acme taking the wait and see approach here... shopping cart corrals still standing several months after closing. 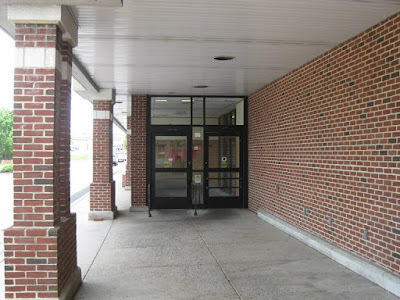 Right side entrance and exit. So unusual to see an Acme that hasn't been cleared out months after it closed. 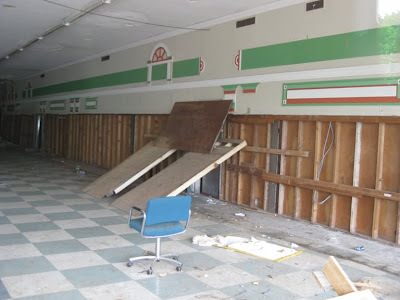 Fixtures and cases are usually removed promptly and moved into older stores in need of upgrading. 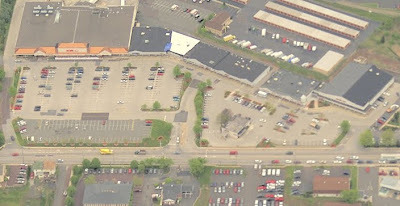 An aerial shot of the Collegeville Acme. 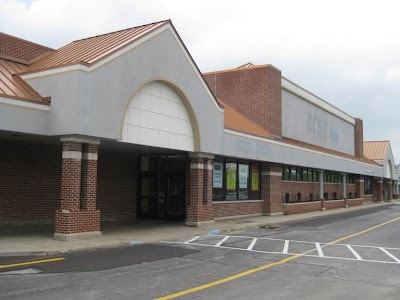 The Rite Aid is just next door has closed as well. 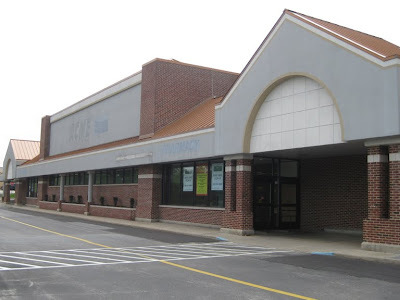 ShopRite plans are to expand into the Rite Aid space if they manage to acquire the lease from Acme. 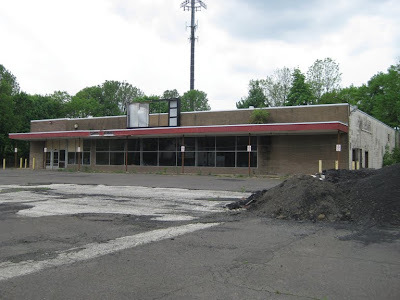 The fomer pitched-roof Collegeville Acme. Located at the other end of the shopping center. The new facade disguises the pitched-roof. A drop ceiling has been added to the interior. The front windows still very Acme. 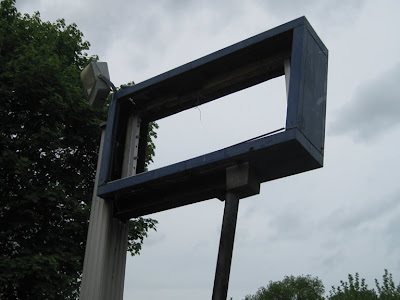 It appears the original awning and support posts were just covered over. 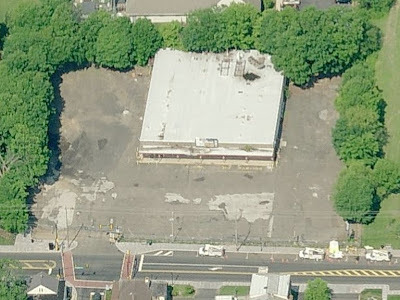 Areal shot shows the pitched-roof. 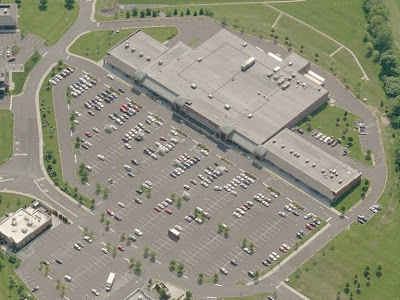 Here is a look at the entire shopping center. 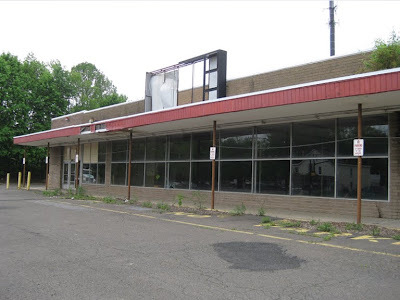 Former Acme to the right, abandoned Acme to the left. Now no Acmes in Collegeville. 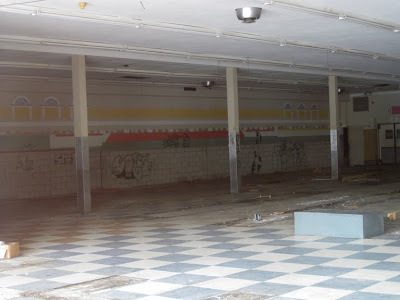 This may just be the best abandoned Acme to ever appear at Acme Style... so much going on here it's hard to know where to start. First off... the sign here in the corner is the same kind shown in the Plexiglas ad I have posted (click here to check it out). There is fencing blocking access all around the store. Fortunately the day I was there, the front gate was open. 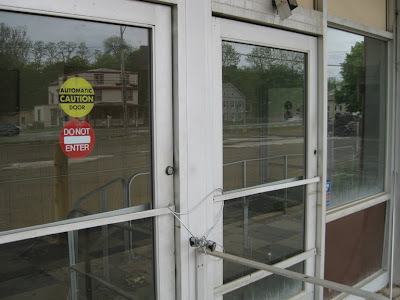 There are pictures on the web of this store, all showing the gate closed. So you are getting full access here at Acme Style! Very standard late 50's/early 60's store. Undoubtedly started out with the script logo across the awing then switched to the fish-eye sign. The brackets for the 3 colored sqaures still intact on the right side of the sign. 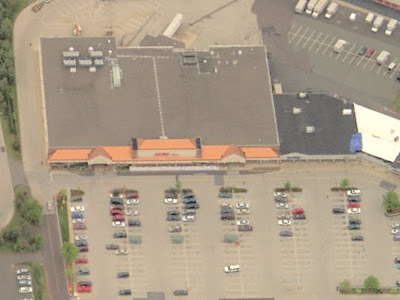 Most Acme's received an awning upgrade when the fish-eye sign was put up. This store did not. The sign was mounted right onto the brick wall. Something quite unusual here... it appears that a small addition was added to the left side at some point. Only large enough for an additional aisle inside. If you look closely you can see the newer section by the change in the roof line. 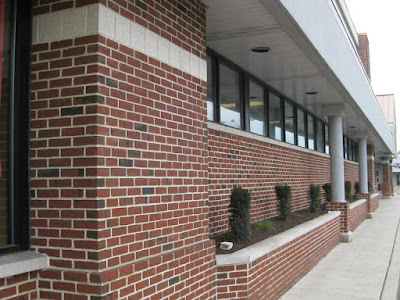 More evidence of an addition... this side has brick columns that stick out slightly from the exterior wall. The other side of the store does not. Entrance on the left/Exit on the right. More evidence of an addition as the newer section is set back a bit from the original building. The doors were chained shut. 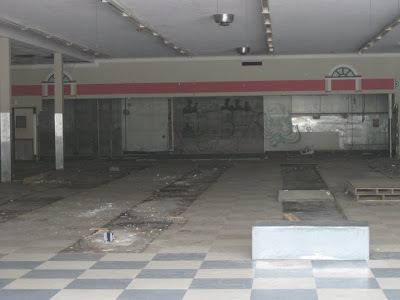 Kids have been able to get into the store in the past as you will soon see. 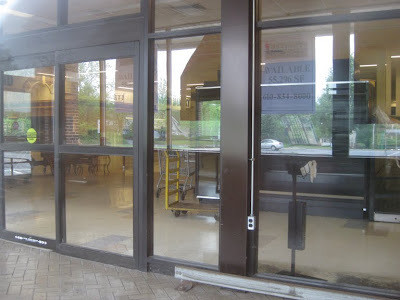 The windows on the right side were never covered over which was common practice in the 70's and 80's in these types of Acmes in order to add addition shelving and increase the size of service departments. The fish-eye logo was once here. This store finished out it's days with the red oval logo. Notice this side doesn't have the brick columns like the newer side. Floral in the front, Fresh Produce along the wall and the famous checkerboard pattern on the floor. Produce cases replaced by skating boarding ramp. 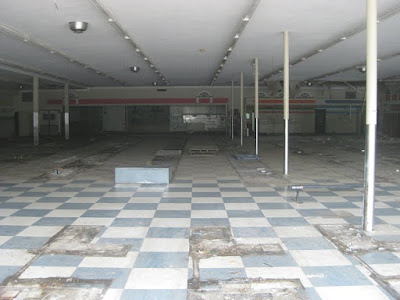 I would say that this store was remodeled in the very late 80's. 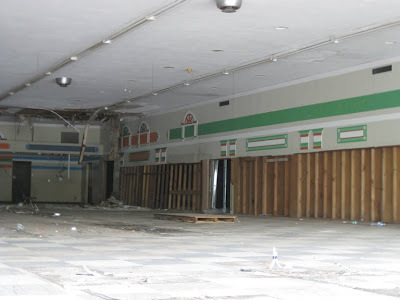 Possibly one of the last stores to get this look as it is still in great shape. The beige paint on the walls is much lighter than the earlier 80's remodel as well. 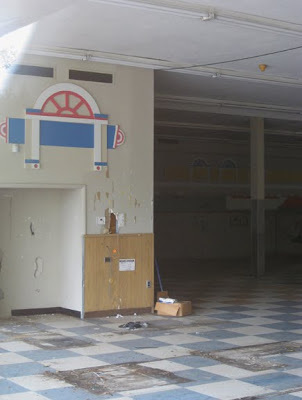 This store may have only been opened a few more years after the remodel. 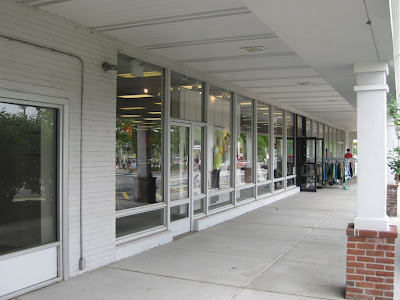 A massive replacement store was built just a few blocks away in the 90's. 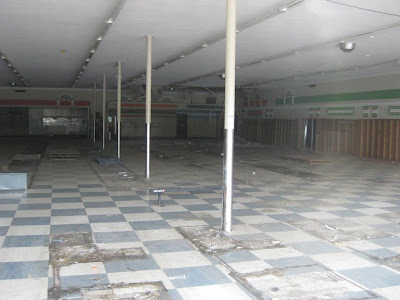 This store most likely had 9 aisles before the 80's remodel. Aisle 1 was probably eliminated in order to expand Produce. 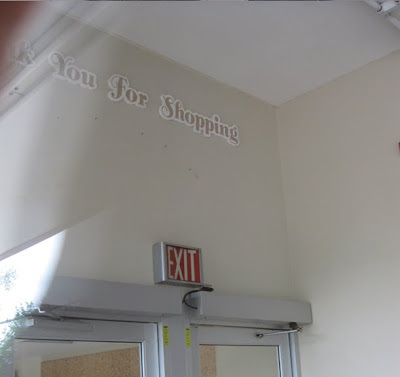 Unfortunately the cursive styled department signage has been taken down. Deli and Seafood. The original Deli went the entire length of that section. The 80's remodel shortened the Deli for the addition of a full service Seafood department. Look closely at the ends of the Seafood blue stripe... there's a ship's steering wheel. The 80's checkerboard floor. Register stand footprints in the front. The back wall appears to have been completely knocked out. The meat room is totally exposed now. 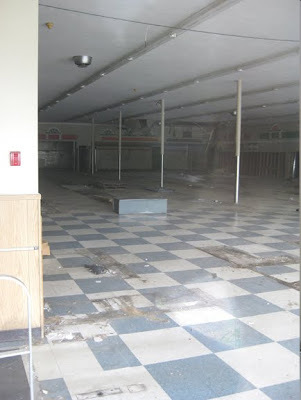 The 80's remodel said goodbye to "Lancaster Brand Meats" and hello to "Quality Meats". Here you can see more evidence of the addition. 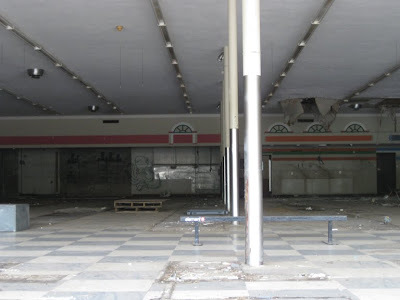 The support columns are more substantial here than in the center of the store (which you can see again below). The ceiling also dips down at this point and has a different type of ceiling tile than the rest of the store. Dairy and Eggs signage would have been on the far wall. Sets of three arch windows on either side which is unusual. 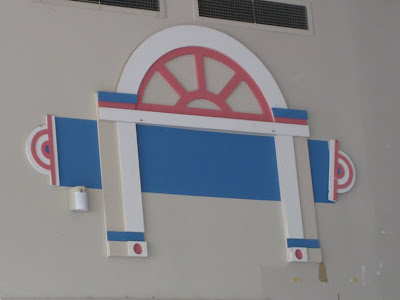 You can see the old Colonial styled Dairy wall decor here. Just like in the Washington store. The orange stripe was the bottom of the barn-like Dairy wall decor. The alcove most likely held the safe. This area would have been for customer service and an express register. By the time this store was remodeled Acme may have pulled the plug on the dreadfull "CSR" stand which would have been at the other end of the registers over by Produce. 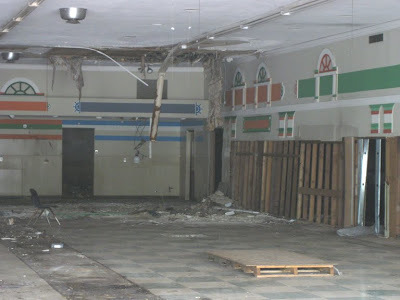 The full serice Bakery was behind this area in the front corner of the store. A close-up of the 80's look. This color combination was used for the video rental sections that were put into lartger stores in the 80's. Here you can see how the department signage was styled with the cursive lettering. The red oval logo was attached on the wall below. If you look closely you can see screws that were left behind in the shape of an oval. 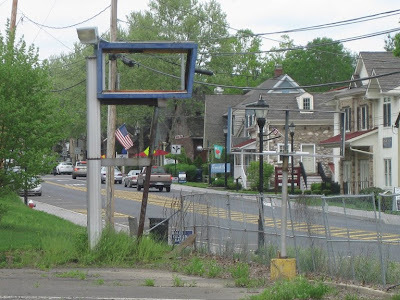 Doesn't look to horrible considering it's been abandoned for more than 10 years. Maybe more than 15 years. 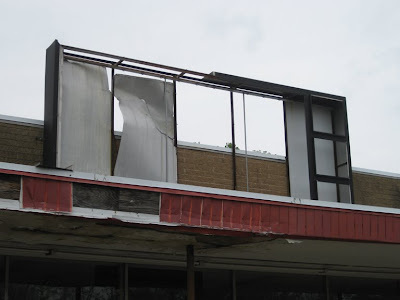 Hard to believe they never boarded up the windows. 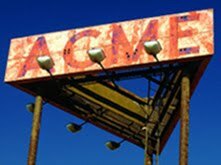 A newer Acme sign in front of the old. 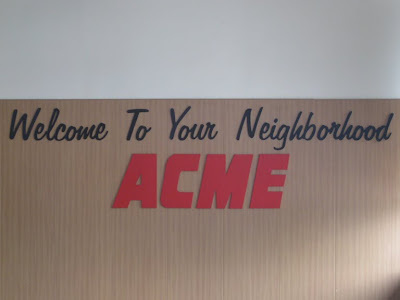 Acme didn't quite fit in with the rest of the look of this small town. 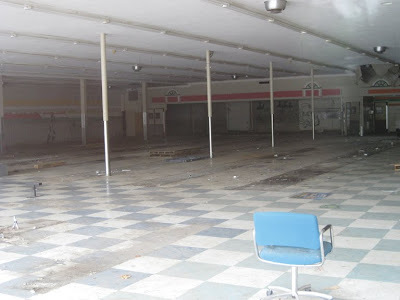 Some of the older stores were the lonliest of stores. 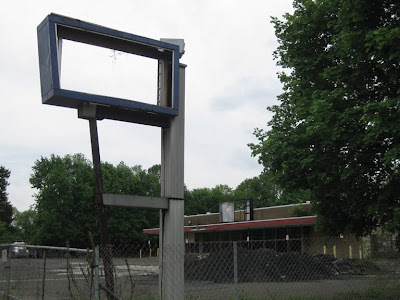 There have been many plans over the years to tear this place down but it has yet to happen. 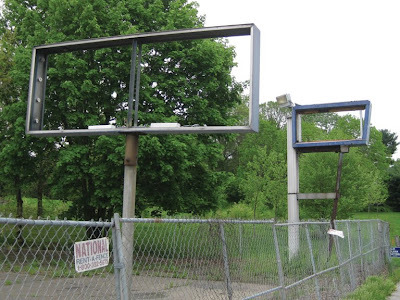 I'm so pleased that it will be preserved here at Acme Style long after it finally gets teared down. The replacement store a few blocks away. An early 90's styled mega-store. 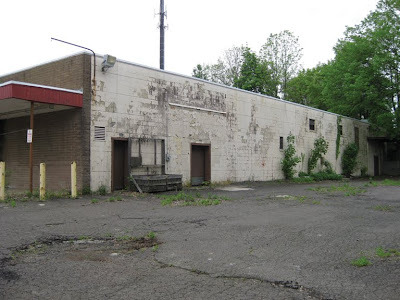 The building is virtually identical to the Quakertown store I have posted. The interior is no longer the 90's red/white/blue package. It has been extensively remodeled and now has the "Chalkboard Market" look. One of the nicest stores I have seen with this look. And the place was slamming busy when I was there. Most have been a bit of a shock for the residents of Newtown going from a tiny 50's Acme to this massive 90's replacement store.